Hotel had provided us with individual garage box for the car. Beautiful Hotel near the beach with excellent and helpful Staff. Well it was very easy to make a booking. Hotel is closely located to the beach. 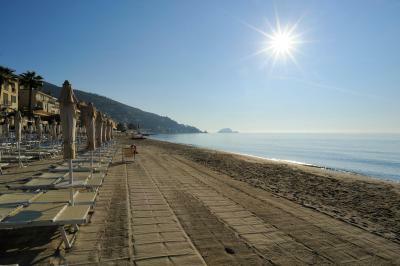 The hotel is perfectly located close to its own private beach and very close to the city center. The parking, although a bit costly, is a plus considered the few available parkings in the area. The dinner was also quite nice. Large pleasant room with balcony and nice views. Friendly staff. Comfortable bar. Very good parking in a garage, chargeable of course. 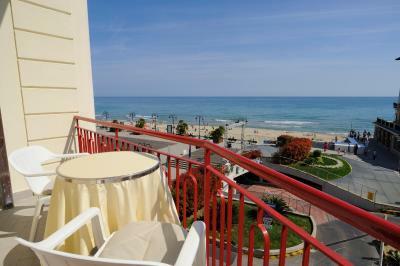 Family hotel in good location by beaches in centre of town. Hotel Europa & Concordia This rating is a reflection of how the property compares to the industry standard when it comes to price, facilities and services available. It's based on a self-evaluation by the property. Use this rating to help choose your stay! 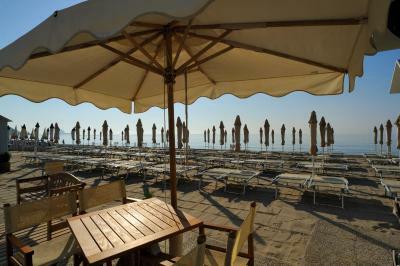 One of our top picks in Alassio.Hotel Europa & Concordia stands directly on the seaside, in one of the most pleasant areas of Alassio. 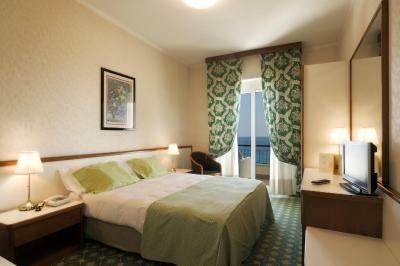 Enjoy comfortable, spacious rooms, coming with either full or lateral sea views, or hill views. 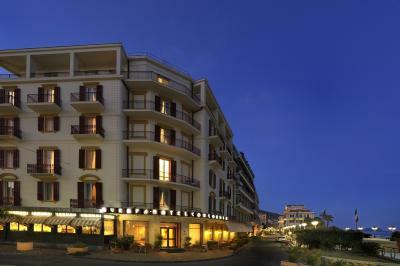 Hotel Europa & Concordia enjoys a central location, within easy reach of all the city's main venues. The establishment is also provided with a private beach. 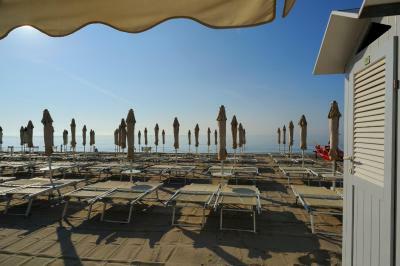 Sunbeds and parasols are available at extra costs. The hotel's restaurant serves delicious regional, national and international dishes, for lunch and dinner. 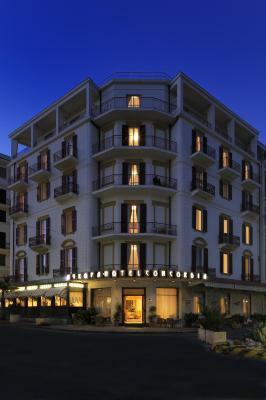 When would you like to stay at Hotel Europa & Concordia? 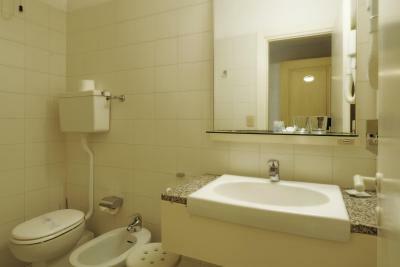 Air-conditioned room with satellite TV and a private bathroom with hairdryer. Air-conditioned room with satellite TV and a private bathroom with hairdryer. 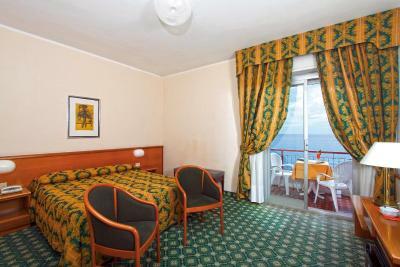 This room faces the Ligurian Sea. 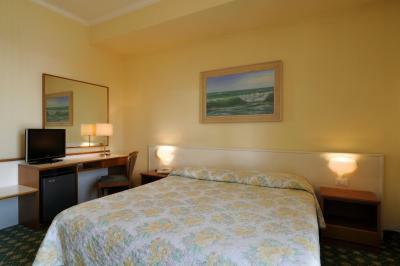 Spacious air-conditioned room with satellite TV and a private bathroom with hairdryer. House Rules Hotel Europa & Concordia takes special requests – add in the next step! Hotel Europa &amp; Concordia accepts these cards and reserves the right to temporarily hold an amount prior to arrival. Hotel Europa & Concordia accepts these cards and reserves the right to temporarily hold an amount prior to arrival. Please inform Hotel Europa & Concordia of your expected arrival time in advance. You can use the Special Requests box when booking, or contact the property directly using the contact details in your confirmation. Staff would seldom greet you as you came and went Also, a very weak breakfast. One staffer at the breakfast rudely insisted that I move from my table. First of all I want to say that there were several issues with my booking, I booked originally till the 6th of September, but then in my booking.com I changed the dates, as I wanted to stay till the 10th. In hotel they did not update the information so wanted to check out me on 6th. All information about bookings as I understood, was written in their journal, not on computer, so it was a bit inconvenient. Secondly I booked two rooms firstly, but after seeing those rooms me and my sister decided to stay in one room, and went to reception to ask for it. We were told that it is okey to cancel and from tomorrow we pay only for one room. We were satisfied, however the next morning new reception staff was working and they were definetly not happy that we cancelled one room and kept asking us who did it, and how come it all happen. After that situation all attitude towards us on reception changed, smiling to other gets and saying hello to them, but when we ask for something, they would not show best attitude. We felt bad for cancelling the room, but felt worser after feeling the change in attitude from staff. 3 days before our departure, we wanted to book a transfer to Milano Airport, we were shown a printed list with prices 330€. We did not order yet, decided to search more for cheaper price, but later eventually decided to book it in hotel. When next day we come to ask for transfer, the price has changed from 330€ to 400€ . The printed list has changed, and when we asked why, there was no explanation, but just that's the only price. It was very strange and disappointing. Room : We had double room, it was normal size. Originally like I mentioned we booked two rooms, one room was a bit bigger and had balcony but we were not allowed to keep it , when asked to cancel one room. Both rooms had a terrible blanket, it more looks like a bed cover, however it is a blanket. Waited over one hour for car to be found on departure and then had to drive it out of a very tight spo myself. Terrible service! Food, very basic like school dinners. Pokey bathroom with no bath and difficult to get hot water. As with too many hotels one has a double room and only one comfortable chair, why? The staff arranged a second chair but why the hassle. The restaurant was not available for casual lunch or dinner dining, only by prearrangement and meals selected at breakfast time, we did not dine in the restaurant.